Daniel Lessner is a composer and producer who has created music in multi media platforms. He has composed main themes and soundtracks for more than 70 Films, Documentaries and Television shows. Lessner began scoring shortly after he received his Bachelor’s and Master’s degrees from The Juilliard School in New York City. His first projects in New York were composed in a wide variety of styles, including scores for CBS’ 48 Hours, ABC’s Monday Night Football, The New York Knicks, Madison Square Garden, Lifestyles of the Rich and Famous, and themes for The Phoenix Suns, and NFL Films as well as numerous International and National commercials including IBM, Citibank, American Express and Gillette amongst others. Among his most recent work are the Main Themes and scores for ABC’s 500 Questions, TBS’ Americas Greatest Makers and America’s Next Weatherman, all produced by Mark Burnett. 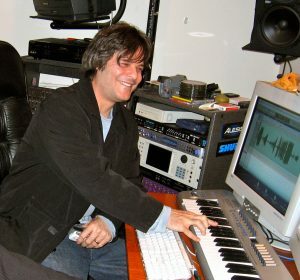 Lessner collaborated with Hans Zimmer and Ben Harper on the Emmy Nominated Feature Documentary, Brave Miss World, which premiered on Netflix. He has created the themes and scores for History Channel’s That’s Impossible!, as well as the score for the short film AWOL, starring David Morse and written by Shane Black, for which he won the silver medal for Best Soundtrack at the Park City Film Festival. In the horror genre, Lessner has composed the scores for Night Bites: Women and Their Vampires, Fangoria’s Weekend of Horror, Stephen King’s World of Horror and Scream Greats Vol. 1 and 2. Lessner has performed as a concert pianist in numerous Television shows including The Equalizer, and in the United Airlines’ ads playing Gershwin’s Rhapsody In Blue accompanied by members of the Los Angeles Philharmonic. Lessner and his very talented team of collaborators are currently hard at work on several upcoming TV and film projects.